If nourishment is needed after a contemplative tour of the National Gallery, then Aura should be right up your alley. Spanning across two floors of the museum, the restaurant is an elegant and modern multi-concept dining destination by Michelin star chef-restauranteur Beppe De Vito. The restaurant delivers eminently satisfying Italian dishes such as their trofie with crab and porcini, scallops crudo with avocado and truffles, and grilled sea bream with pistachio salsa. A brief reprieve that offers sensational Italian nosh with a touch of luxury, Aura offers diners a world-class dining experience. Pay S$35 for S$50 cash vouchers through Chope Deals. Despite having such a diverse range of cuisine choices here in Singapore, perhaps the one that we aren’t as exposed to is Middle Eastern cuisine, much less Lebanese. Helmed by Chef Mohamad Salim, who imports most of his spices and ingredients from Lebanon, diners are in for a truly authentic Lebanese dining experience that’s quite unlike any other. In the spirit of true mezza, begin with a sharing platter of hummus backed with a basket of freshly baked pita bread. Alongside that, a mezze platter of dishes such as Babaganoush, Moussaka and an Arabian-style salad. Nothing speaks of the Middle East cuisine quite like its stunning array of grilled, marinated meats so you definitely shouldn’t miss out on the likes of their fragrant, smoky Lamb Kofta and tender Shish Taouk. Perfecting fusion cuisine lies in a chef’s ability to combine different ingredients and techniques create something intrinsically better, differently but nicely balanced. Over at contemporary Japanese fusion restaurant, Maru Japanese Dining, diners are treated to a spectacle of intricately and beautifully crafted dishes that taste phenomenal. As part of Chope Deals’ flash sale, the restaurant will be rolling out an exclusive, limited-time-only 4-course set menu at only S$15 which features Ikura Chawanmushi with Truffle Oil and Mentaiko Potato Salad as starters, Foie Gras Yakiniku Don as the main and a glass of orange juice. A tantalising array of premium quality ingredients and at such a reasonable price, you’d be silly to give it a miss. Get a 3-course set menu at S$15 (U.P. S$35) through Chope Deals. Serving as a bakery, a bistro as well as a bar, this cosy establishment rolls out a stellar range of summertime cocktails as well as a delicious food fit for any fancy. Tucked away in Tanglin Post Office Building, the place exudes a warm, inviting charm to it and is absolutely perfect for families looking to unwind over the weekend, if not, casual drinks at the bar with your mates. Pay S$25 for S$50, S$70 for S$100 cash vouchers through Chope Deals. Located on the 55th storey of ION Orchard, Salt grill & Sky bar is one restaurant that will bring you an entirely surreal dining experience. On top of impeccable service and a spectacular bird’s eye view of the city from the semi-fine dining restaurant, diners can expect to be blown away by the quality of their food. Amongst their prized dishes, the Flat Iron Westholme Wagyu is one that will impress even the most discerning palates. Served with a pink hue, every piece boasts a rich marbling and an intense flavour. Their Ondeh Ondeh Pandan Chocolate Mousse puts a contemporary spin on the traditional Malay pastry and is the perfect sweet treat to round off your meal. Utilising the freshest quality of local Asian produce and creating dishes that are fundamentally Western, The Botanic pushes boundaries to what we know about fusion cuisine. The recipes are influenced by French, Italian, Nyonya, Indonesian and Chinese cuisine, and are tailored to suit each product depending on its season. Get a 2-course set menu at S$14.40 (U.P. S$28.71) through Chope Deals. 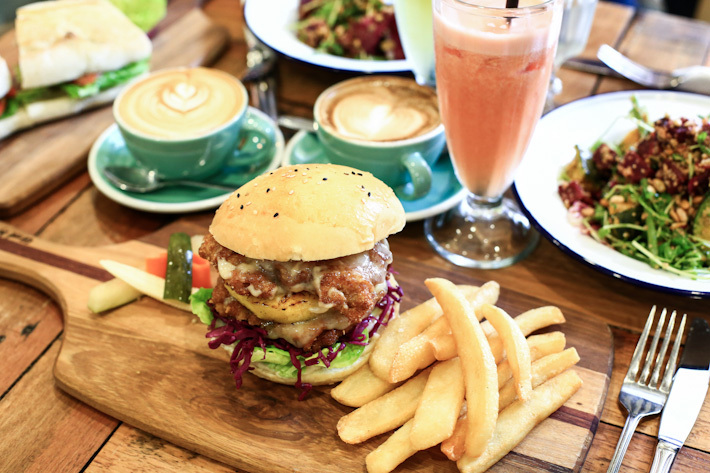 Founded by the same folks that brought Wooloomooloo Steakhouse to Singapore, you just know that The Chop House is one to deliver when it comes to badass burgers and other Western delights. This back-to-basics grill house exudes a cool and casual vibe, which is further accentuated by their self-pour beer taps. 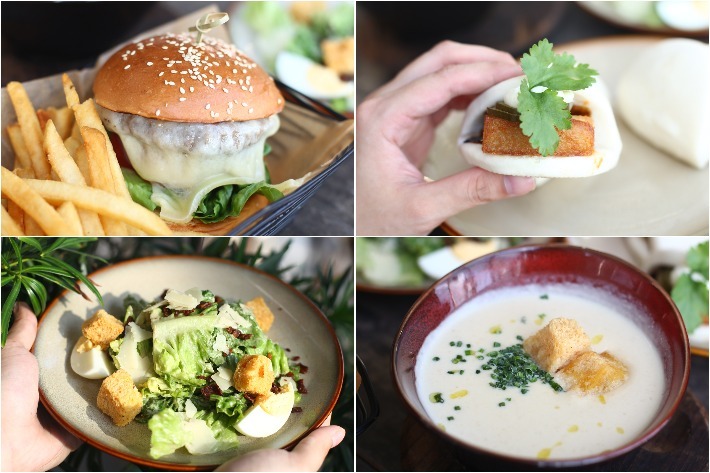 Start off your meal with a crisp Mini Caesar Salad as well as a plate of mouthwatering Crispy Pork Belly served in steamed mantou—an innovative spin on the classic kong bak bau. All these go great with a creamy, comforting bowl of their Soup Of The Day. To seal the deal, tuck into a thick, juicy Cheese Burger that comes with a generous side of golden fries. Get a 2-course lunch set menu at S$17 (U.P. S$44.72) through Chope Deals. Offering a brief reprieve from the hustle and bustle of city life, The Lokal at Neil Road is an Australian restaurant and bar where one can indulge in honest and tasty comfort food. They take their food seriously and even go as far as to make nearly everything from their butter to their array of sauces in-house daily—all using good and fresh produce. In the day, diners can tuck into healthy and hearty brunches like Smashed Avocado with Ricotta, Roasted Pumpkin Salad, and Steak & Eggs, and as the day slowly transits into nighttime, the restaurant transforms into a cosy and versatile space for intimate dinners & casual cocktails sessions. Pay $10 for a signature dish through Chope Deals! Committed to serving affordable, delicious and meticulously crafted Japanese donburi that feature a tantalising array of premium ingredients such as Wagyu beef and foie gras, Waa Cow! impresses with their signature torched Wagyu beef bowl offerings that beautifully meld together flavours that are fundamentally Japanese with modern culinary technique. Famed for being the first donburi-focused restaurant in Singapore to flame-torch their Wagyu beef prior to serving, their donburi options are truly top-notch. We are huge fans of their Signature Wagyu Beef Bowl (S$19.90++) but if you’re in the mood to indulge, then their Mentaiko Wagyu Beef Bowl (S$21.90++) and Yuzu Foie Gras Wagyu Beef Bowl (S$25.90++) will have you well sorted. Impressing time and time again with their innovative dishes, Wan He Lou is one Chinese restaurant that always seeks to surprise. They take a contemporary approach to traditional Chinese dishes through injecting local flavours into their cooking, creating their own unique version of zi char. A firm favourite, their signature award-winning Lobster Porridge epitomises comfort and decadence. Following the style of Teochew porridge, the rice grains remain relatively course and swim in a flavourful yellow broth made using lobster roe and accompanied by a generous portion of lobster. 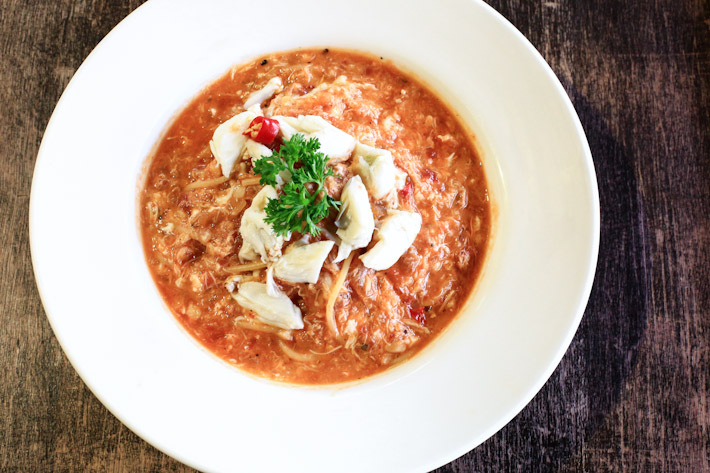 Get a signature Lobster Porridge Set Lunch at S$16 (U.P $38) from Chope Deals. Chope Deals’ Year End Sale is the perfect opportunity for you to treat your loved ones to a memorable gastronomical journey while at the same time saving a fair bit more to spend on presents. Chope Deals allows diners to enjoy exceptional savings at over 400 top restaurants across Singapore, in the form of online vouchers. The perks are close to endless with Chope Deals and it’s super easy to use. Start by choosing an offer from their list of curated restaurants available on the web and app, and once you’ve found your ideal choice, you can go ahead and pre-purchase the discounted voucher and receive it on your email or retrieve it via the Chope app itself. Lastly, make your way down to the restaurant of choice and simply present your voucher prior to ordering to enjoy your savings—it’s that easy! This post was brought to you by Chope.